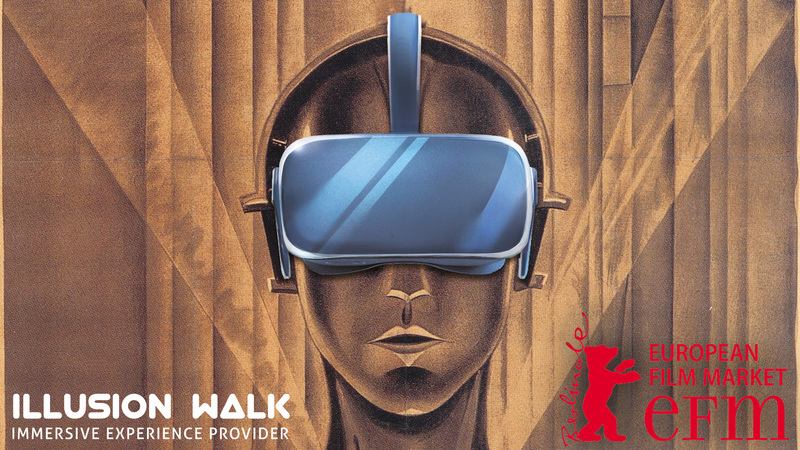 Berlin, February 1, 2017 – Illusion Walk, along with nine other startups, was chosen to present the Immersive Deck at the EFM Startups 2017. EFM Startups is an initiative of the European Film Market of the Berlinale to provide selected startups with the means to network with the international film and media industry. It was successfully launched in 2015. The selected startups will take part in the event with their own booths in the Martin-Gropius-Bau. European Film Market is the business event at the heart of the Berlinale and one of the most important international film events in the world. lllusion Walk is a young startup working on the development of a walkable virtual reality platform named “Immersive Deck”. We combine the latest hardware technology and prototypes with our software to bring our users the ultimate immersive experience: free, unhindered movement through large-scale virtual spaces. The Immersive Deck is a real-time holodeck based on a unique, interactive multiuser concept aiming at large-scale applications including gaming, edutainment, virtual training, and VR showrooms. The “Triple-Track®” software fuses existing tracking and motion capture technology with high-end real-time rendering. The modular structure allows for selection of the ideal setup for many different applications, from multiplayer gaming or walkable VR showrooms to virtual training scenarios. In addition to features such as large-scale tracking even from room to room, unlimited number of players, and lowest latency, the Immersive Deck also offers specialized tools including “Gamemaster”, “Character Switch”, “Virtual Exit”, and “Redirected Walking”. We are convinced that you have to experience the Immersive Deck to truly understand and write about it. Journalists who want to try it out are very welcome to do so. Just contact us at press@illusion-walk.com to set a date with us.